The trade mark "Sto Pudov" represents traditional and innovative products for tasty, convenient and healthy nutrition. We introduce everyone, both children and adults, to the desire to cook, take care of one's health, make the cooking process a pleasant experience. For 15 years TM "Sto Pudov", using classical and national recipes, in the process of inventing its own methods of preparation, improves and produces products for people with different preferences in nutrition: as in childhood (grandmother's recipe or mother's porridge), dainty dishes, modern food , healthy and dietary nutrition. That is why our product range includes a large number of products and lines. In our families we eat what we produce, therefore, we do not use preservatives, colourants and chemical additives. The development of a new product includes painstaking work of technologists who must take into account all the culinary criteria put forward, avoid preservatives, chemical additives and survive a tasting test from an independent tasting commission. Sometimes months of diligence of all specialists are needed to pass from original idea to finished product. - pack. We make our own design, giving special attention to the process of packaging creation, trying to convey our intention through the outer shell and sensitize the consumer to the desire to buy and try our product (creation), to enjoy and return again to the next portion. Products of TM «Sto Pudov» are opening up an international market of grocery group of goods quite confidently. A comprehensive approach to solving all issues of customs clearance and delivery of goods areemployed in the work. Since TM "StoPudov" has its own production and the Division on Technology, it is possible to develop specialized products taking into account the national peculiarities of a particular country. In addition, marketing support for products sold to partners is provided in the form of a variety of promotional materials and various motivational actions. 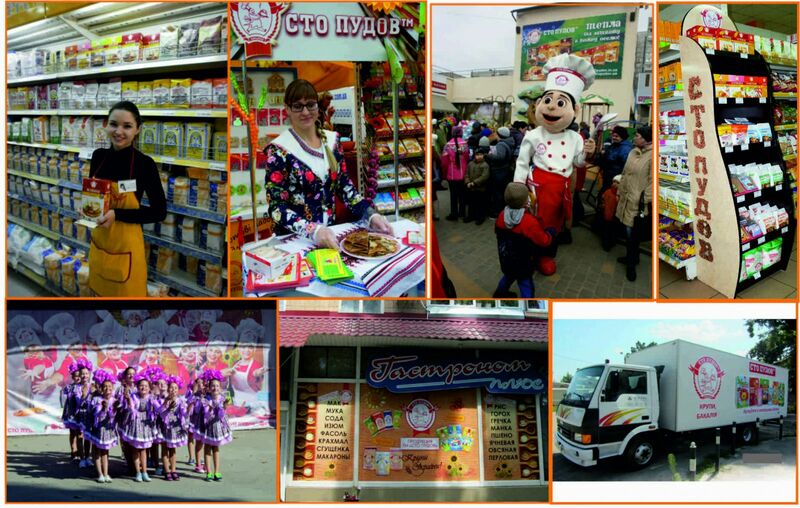 TM "Sto Pudov" is supported by active promotional support of the products sold at both regional and national levels. An individual approach to each outlet and the selection of mutually beneficial advertising solutions are used in the work. The Promotion Department develops various variants of branding of the trading equipment, sales places, transport of the client, in addition, branded expendable materials for comfortable trade, branded special work clothes are given. There are options for holding a variety of promo events at the outlets: from a regular consultation or gift promos to online tasting or a full entertainment for children and adults. The Promotion Department of TM "Sto Pudov" is ready for new non-standard advertising solutions, since relevant high-quality advertising is a pledge of high sales and successful competition in the market! 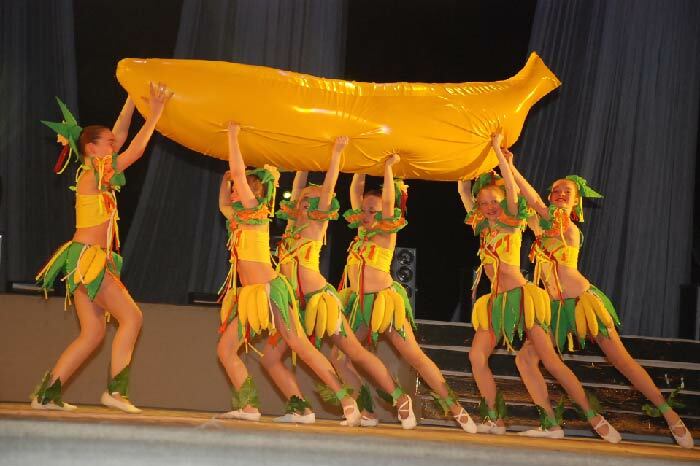 The trade mark "Sto Pudov" is a sponsor of the People's performance ensemble "Carnival” Theater of Pop Art", participants of various show programs, winners of various Ukrainian festivals and many international competitions around the world. 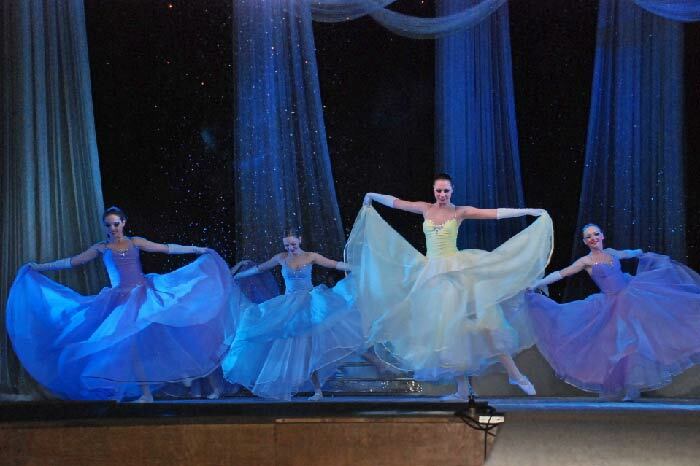 The members of the ensemble are children of different ages: from little boys and girls to adult girls and guys. 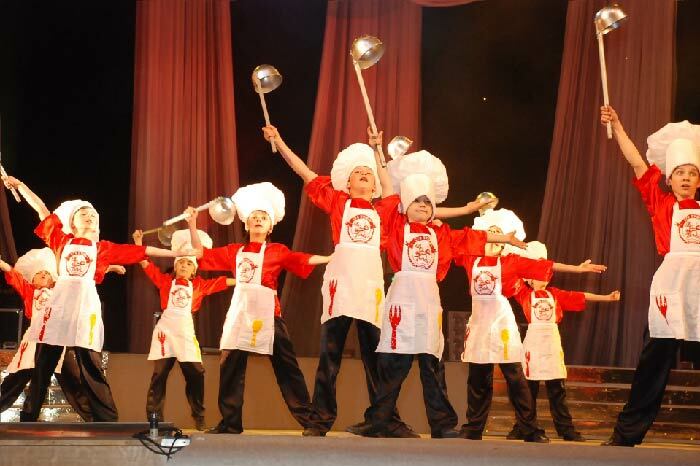 It was the children of "Carnival" who became the face of TM " Sto Pudov", performing a cheerful dance of little kitchen servants in the company's first TV commercials.